In the Southern Hemisphere: Tropical cyclone 12s (Funani), located approximately 432 nm east-northeast of Port Louis, Mauritius, is tracking south-southeastward at 07 knots. Tropical cyclone 13s (Gelena), located approximately 516 nm north-northwest of St. Denis, Reunion, is tracking northwestward at 04 knots. 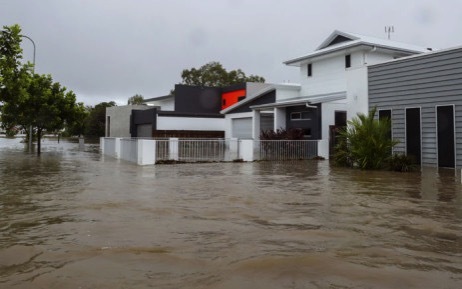 Queensland, Australia – Two bodies were discovered in Australia’s flood-ravaged northeast on Tuesday as continuing heavy rain prompted authorities to warn of further flash flooding in the hours ahead. Hundreds of cattle are believed to be dead or stranded in north-west Queensland as heartbroken graziers go from a drought to a flooding crisis. New York, USA – Melting snow has caused several million gallons of municipal sewage to spill into the Hudson River from Troy and Albany. The melting is expected to continue for the rest of the week around the capital region and beyond. Ice jams are a focus in western New York, where a flood watch has been issued through Wednesday night.